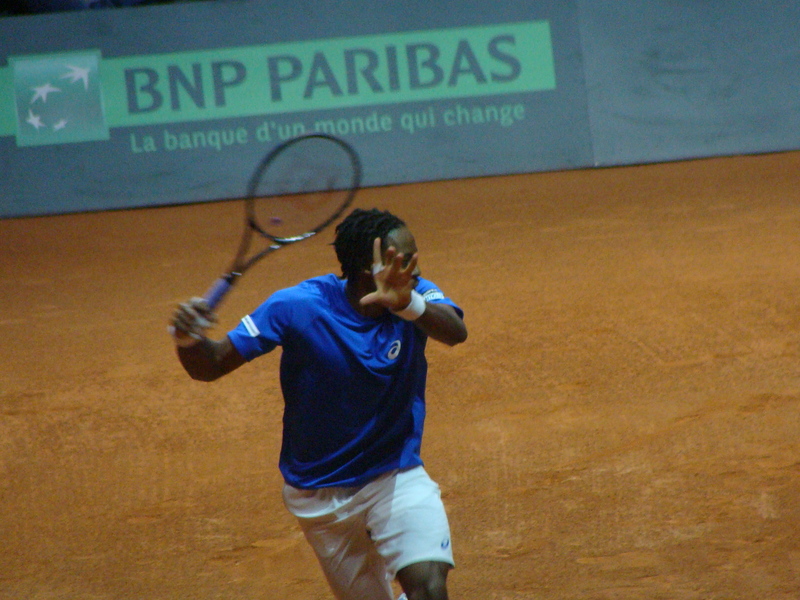 Stan Wawrinka and Gael Monfils, the number two players for their respective countries, kept the Davis Cup dream alive for Switzerland and France. If Davis Cup is celebrated for anything, it’s the ability for the often maligned event (by me) to turn background players into stars. 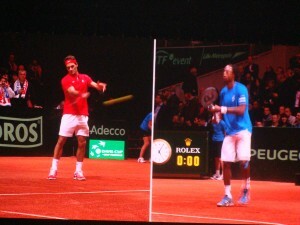 Today, it delivered on that formula as Roger Federer and Jo-Wilfred Tsonga both lost in pretty depressing fashion. 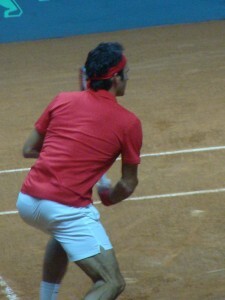 Though, I suspect Federer would have liked to go down swinging in 4 sets instead of straights today. Wawrinka vs Tsonga got off to a pretty fast start. 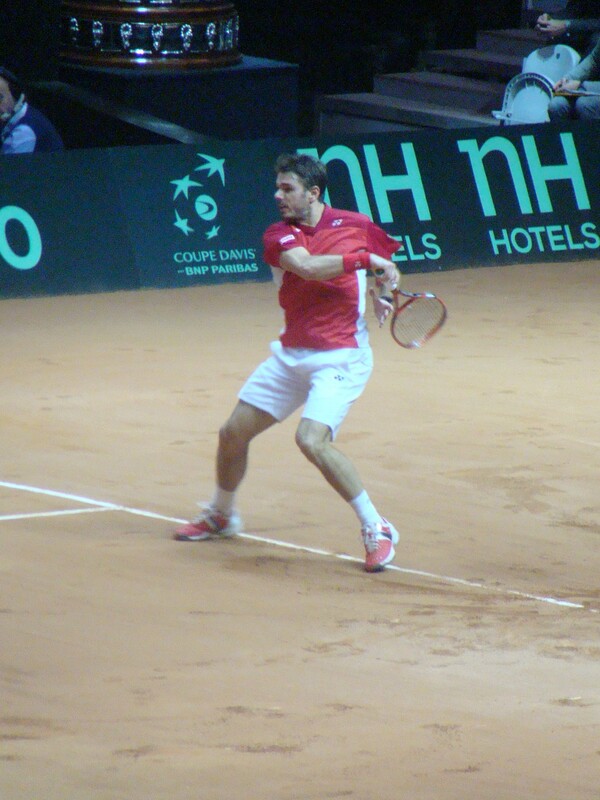 Within 15 minutes, Stan was up 4-1 in the first set and comfortably took it 6-1 as Tsonga struggled on serve and decided that this was the time to play to his backhand side. After saving a breakpoint in his first service game in the second set, Tsonga sent a racquet out to be re-strung which might explain how he cleaned up his act. I thought he seemed more resolute and positive at the start of this set which translated into much more solid work in the rallies. 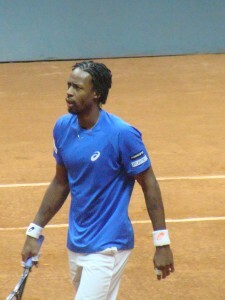 He was rewarded for that play as he broke Stan for 3-1 even though Stan had been up 40-15 on his serve. My buddy suggested that Stan might have been distracted by the member of the crowd who screamed “crybaby cry” as Tsonga was serving for 2-1. He was greeted with a swift round of boos and hisses, but Stan seemed to lose the plot for a bit. 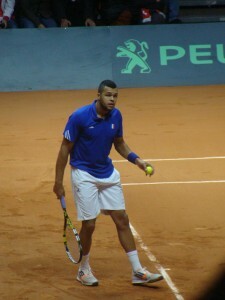 Tsonga would take the set, 6-3. Steadier serving kept Tsonga ahead in set 2. 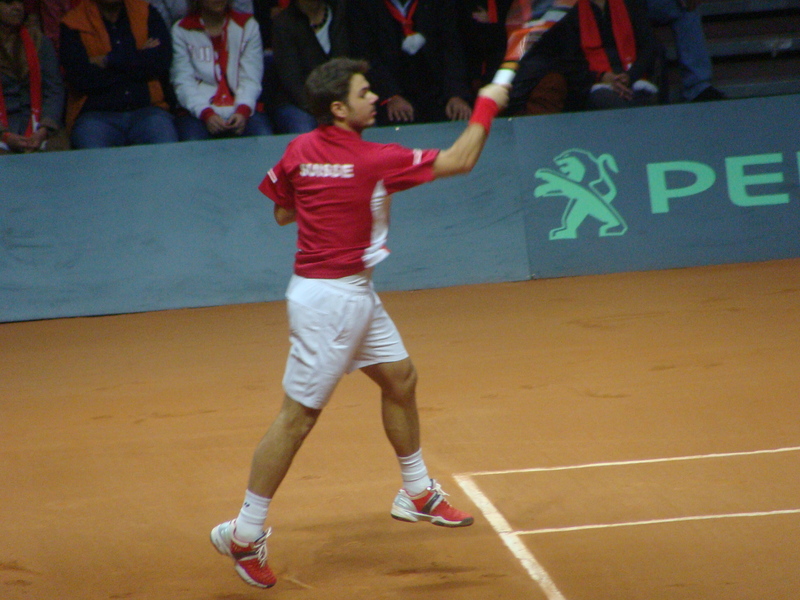 Yet, Stan was definitely the better player on the day which allowed him to comfortably take sets 3 and 4. In the last set, we had hints that Tsonga was feeling less than thrilled about the crowd as he was serving to stay in the match, down 2-5. He would save one set point and demand the crowd give him his due, which it did. 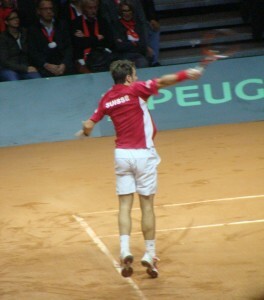 However, he could not save the second and Stan took the set and the match. 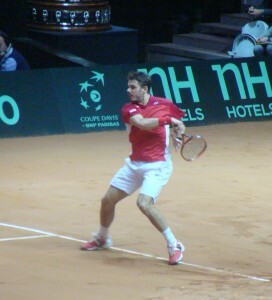 Aside from that odd dip in the 2nd set, Stan was always in control of the match as he played beautifully off both sides and was not afraid to be aggressive throughout the match. He was in full flow and it was a joy to see a player come alive in such a big moment after struggling for patches of the year. 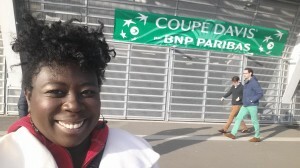 Ultimately, there can be no bad in this first day because Federer played a full match when his participation in Davis Cup seemed like a dim possibility on Sunday after the World Tour Finals. See, how I’m spinning it? 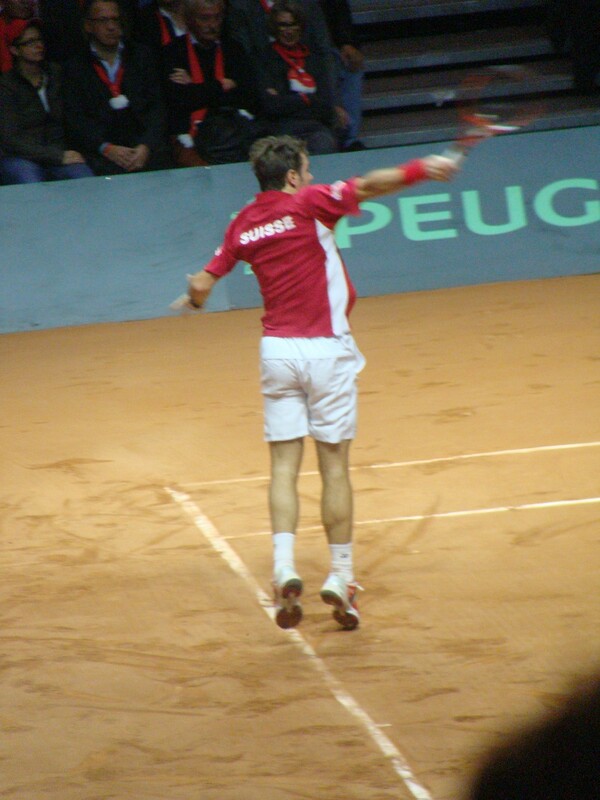 If Stan had lost his match, then I would admit that the sky is definitely falling for the Swiss but miraculously at the end of the day, they are 1-1 with the French which means that we get a live rubber on day 3! If I was at home watching comfortably from my living room, this might be a tad annoying but as I’m watching in person, this is a small blessing. 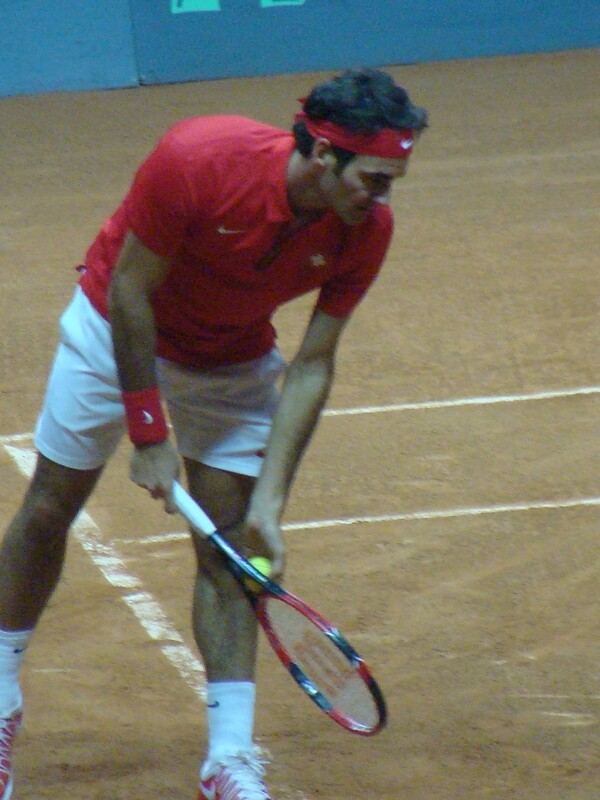 It means that we either have a dramatic come from behind win for the Swiss if they lose the doubles rubber or we can get the French sealing the deal with a match between the two who faltered on day 1, Tsonga vs. Federer. 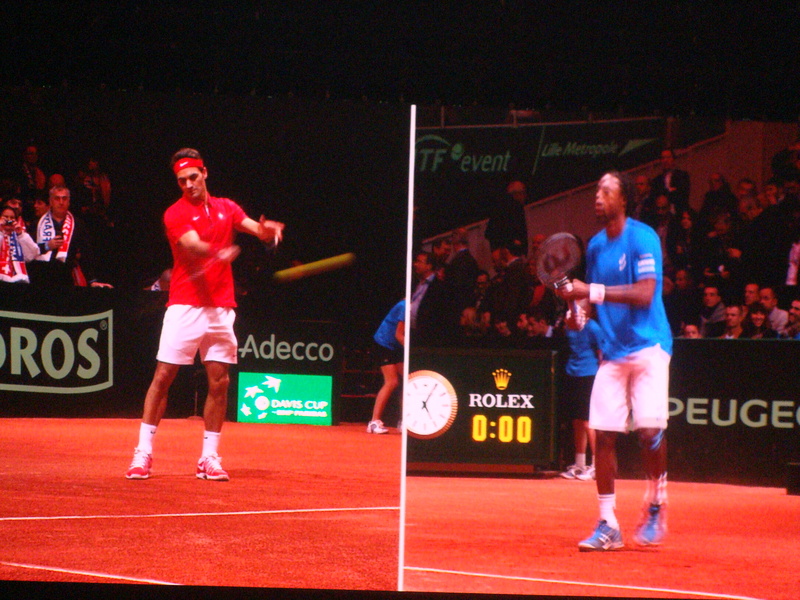 There is the Davis Cup narrative wrapped up nicely for us. 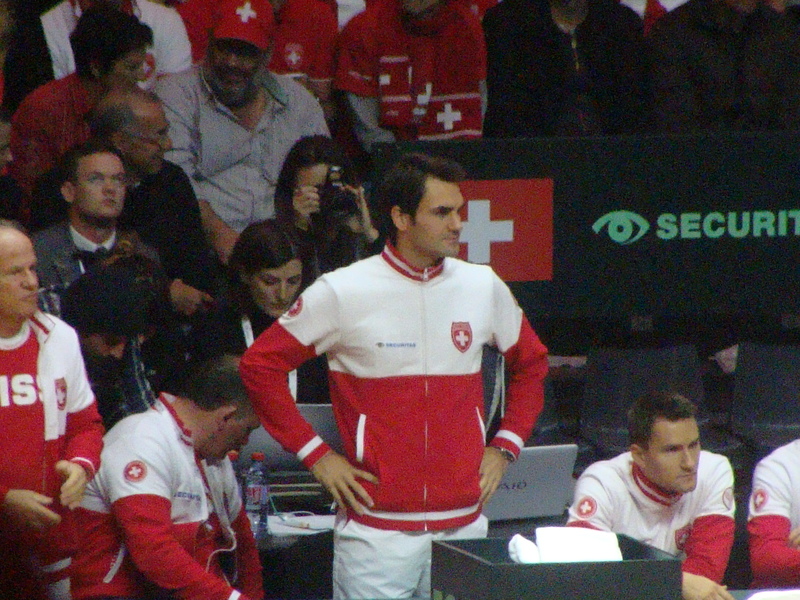 However, I was a gloomy mess during the Federer match, so let’s just focus on the pretty moments, ok? 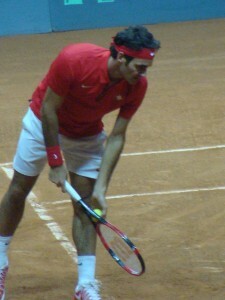 Federer served decent enough though the 2nd serve was Murray-esque. He moved well enough as time went on in the match. 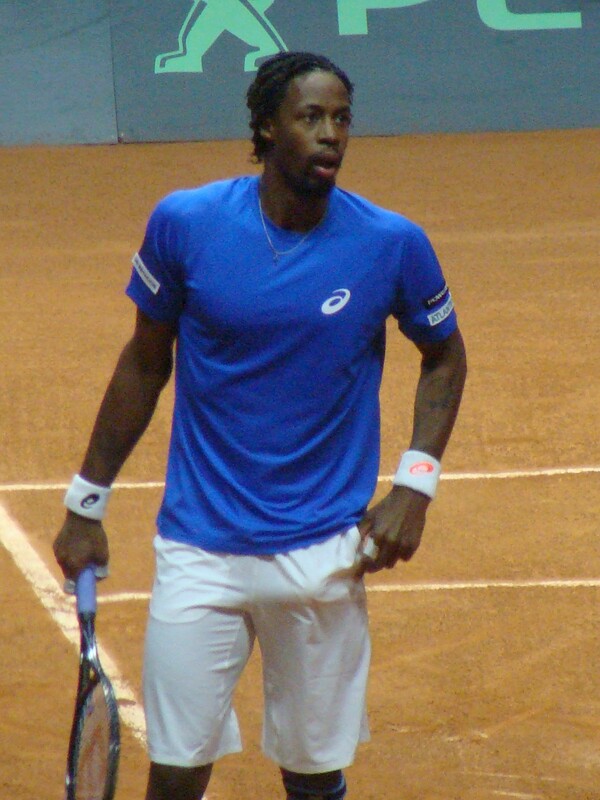 Let’s not forget that after the tremendous battle Monfils put up against Federer at the US Open this year, we knew a win against Federer was due, right?!? Monfils stayed the course and got the match done in 3 sets, so that both he and us wouldn’t have to suffer a protracted loss. Finally, let’s never do this again…. Why do I like this “rivalry” again? Yes, I’m actually at the Davis Cup Final. Somebody pinch me! Aww thanks for saying this Pegs. You know how much I talked about doing my tennis and traveling. It’s a work in progress, girl! We’ll chat when I get back to the sun end of November!